The Lehman Trilogy transfers to the West End in May 2019, Take That bring their greatest hits to The O2 and the Regent's Park Open Air Theatre season begins with Thornton Wilder's Pulitzer Prize winning play Our Town. Marianne Elliott directs this bold adaptation of Arthur Miller's most famous play. The Old Vic is staging an Arthur Miller double bill in 2019 with The American Clock and All My Sons, but it's the Young Vic that's taking on the writer's most famous play. In a bold new adaptation, Death of a Salesman will be given new meaning with the story told through the eyes of an African American family. 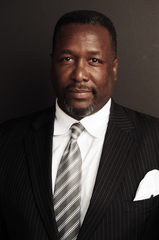 Revered director Marianne Elliott - renowned for putting contemporary twists on classics - is behind the production while Wendell Pierce of The Wire, Suits and Selma will make his UK stage debut as Willy Loman. Olivier Award-winning Sharon D. Clarke and Arinze Kene will also star. The band marks its 30th anniversary with a massive UK arena and stadium tour. The east London rooftop is transformed once again, taking inspiration from San Cristobal in Mexico. Tacos, tequila and giant frozen margaritas are the order of the day at the Queen of Hoxton Rooftop, which takes the theme Las Mexicanas for its summer residency. The space has been transformed once again, morphing into the secret den of the Luchadores (lady wrestlers). Taking inspiration from the colourful backstreets of San Cristobal in Mexico, the rooftop is now home to a band-stand, a wrestling ring and a backstreet bar, where guests can order a Chilli and Mango Margarita, a Watermelon Paloma or a Mezcal Cantarito to help wash down slow cooked pork and pineapple tacos, fresh nachos and chilli cheese burgers. Throughout the summer, the rooftop will also play host to a number of themed events including feminist embroidery, mezcal insect tasting and Trump piÃ±ata making. Two weeks of theatre, art, circus and comedy as well as some free shows. Jonzi D is back with his three-day international festival of hip hop and dance theatre. Floating and folksy festival featuring the canal boats of Little Venice. Jamie Jones, Hot Since 82 and Sasha play under the giant spider. A two-day, multi-site festival with music, street food and live events. Expanding to a two-day event in 2019, the Queen's Yard Summer Party sees 20 venues across Hackney present a line-up of music and happenings over the May bank holiday weekend. The multi-venue indoor and outdoor event is a celebration of culture and encompasses 25 stages, 20 venues, 30 club brands, three breweries, two boats and a host of vendors, eateries, exhibitors, DJs and live acts. The likes of DJ Boring, Jane Fitz, Bill Brewster and Dave Harvey are on the music line-up while activities include wall climbing experiences, lessons in transformational breathing, and throat singing and yoga classes. Food comes from Crate, Burger Bear, Number 90 Bar & Kitchen and more while The Beer Merchants Tap, Howling Hops Brewery and Tank Bar will provide refreshments. 1,000 cyclists, clad in tweed, cycle the 12-mile route taking in Regent Street. One of London's most eccentric bike rides - surpassed only by the World Naked Bike Ride - The Tweed Run returns for its annual bike ride this May. The quintessential bike ride requires participants to don their finest tweed attire and set off on a 12-mile scenic route that begins at a secret London location and takes in some of the capital's finest landmarks along the way. Between 750 and 1,000 cyclists, clad in tweed, cycle along Regent Street creating a spectacle so out of the ordinary that crowds form along the route. A pit stop along the way allows for a spot of tea in a fine London square and a picnic break in the park is like a concert and village fete rolled into one. The whole thing ends up with cocktails and a bit of a knees up at The Closing Ceremony when prizes are given for the best dressed participants, bikes and most marvellous moustache. Walk through a psychedelic maze of light and colour led by musicians and dancers. Originally created by artist Peter Jones in the early '70s, Colourscape is walk-in psychedelic maze of light and colour with musicians and dancers who lead you on a journey of colour. This May Bank Holiday, from 4th to 6th May, a large silver dome is coming to Wembley Park for a free weekend of music, dance and colour for all the family. Hear musicians playing instruments from Tibet, China and Mongolia as you explore the changing colourful chambers and walk through the labyrinth of colour and light. Discover this world of colour on Wembley Park Boulevard next to the London Designer Outlet and visit Boxpark Wembley while you're there. The up-and-coming talents are celebrated in this annual English National Ballet competition. Cold Feet star Robert Bathurst plays the central character in this new immersive production. Soho institution Norman's Coach & Horses becomes a theatre in a stand against Fullers by staging, Jeffrey Bernard is Unwell, in the venue it was originally written and set in. Robert Bathurst, star of award-winning comedy-drama series Cold Feet, stars in a brand new immersive production of the famous Keith Waterhouse play. It tells the musings of London journalist and alcoholic, Jeffrey Bernard, who is locked overnight in The Coach & Horses Soho. It's directed by James Hillier, OFFIE nominee, who brought to life the acclaimed, site-specific productions of Tennessee William's The Hotel Plays which sold out at the Grange, Holborn and Langham Hotel. With extra performances on Tuesdays and Thursdays, the play is followed by late night lock-ins from midnight on Saturdays. More than 230 events fusing design, fashion, art, culture and crafting. A showcase of exceptional craftsmanship, London Craft Week returns for 2019. The five-day event brings together more than 230 events fusing making, design, fashion, art, luxury, food, culture and shopping. In Mayfair, Mount Street Curates partners leading names in fashion such as Erdem, MATCHESFASHION.COM and Linda Farrow with artists and makers like Frida Wannerberger and Dominic J Henry. Head to Coal Drops Yard for workshops and with botanical activities to and Battersea Power Station to meet the makers and join workshops and demonstrations on everything from silk scarf, headband and candle making to ceramics. Over at Paperchase Tottenham Court Road stationary brand Caran d'Ache will be unveiling the secrets behind their pencils. Explore over 100 galleries under one roof in a marquee on Hampstead Heath. Pantomime favourite Clive Rowe stars as Mr Badger in the hip hop musical adaptation. 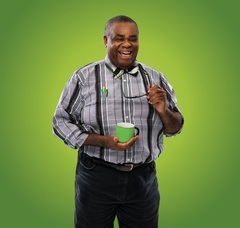 Clive Rowe stars as Mr Badger in the hip hop musical adaptation of In the Willows, a new musical retelling from the award-winning Metta Theatre. The Olivier award-winning actor, "the nation's favourite pantomime dame" and star of BBC's The Story of Tracey Beaker, is joined by X Factor favourite Seann Miley Moore (as Duck) and Let It Shine performer Matt Knight (who plays Chief Weasel). With spectacular street dance choreographed by the award-winning Rhimes Lecointe, associate choreographer for Zoo Nation, the production also stars deaf street dancer Chris Fonseca and incorporates British Sign Language into the choreography. Wellbeing festival featuring top fitness experts and free classes in the new FLOW yoga studio. A comedy satire about racism within different east Asian ethnic groups. Having already made a splash in New York, 24-year-old Thai-Australian writer Anchuli Felicia King is given her UK debut in 2019 with White Pearl. 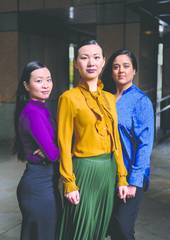 Staged at the Royal Court Theatre, the play is a satire about racism within different east Asian ethnic groups. In Singapore, Clearday is a successful cosmetic start-up, but when the company's latest product - a skin whitening cream - is advertised online, it goes viral for all the wrong reasons. The YouTube views are climbing and the company needs to tackle the PR nightmare. Two days of masterclasses, workshops and talks designed to reflect the very best of The Telegraph's magazine. The debut event from The Telegraph's Stella magazine, Stella Live brings the magazine off the pages and into real life with two days of expert masterclasses, workshops and live talks designed to reflect the very best of the publication. Taking place at the Saatchi Gallery, the event will cover fashion, food, beauty, interiors, relationships and more. The likes of Davina McCall, Jo Brand, Trinny Woodall, Jo Malone and Mary Greenwell are all on the line-up of speakers while further activities include style advice, beauty tips and free pampering sessions along with interior and lifestyle ranges and the chance to purchase the very latest beauty and wellness products. *This code enables the holder to a 10 percent discount off full price tickets for Stella Live on the 10th or 11th May 2019. The ticket includes entry to one 4 hour session. The available sessions include, Friday 10th May 12:00-16:30 , Friday 10th May 17:30-22:00, Saturday 11th May 11:00-15:30 , Saturday 11th May 16:30-21:00. Sessions are subject to availability. The ticket code will expire at midnight on Thursday 9th May 2019. All entrants must have a valid email address as tickets will be supplied as etickets. It is the entrants sole responsibility to ensure that their contact details are up to date. Tickets are non-transferable and non-refundable. The Lehman Trilogy transfers to the Piccadilly Theatre in May 2019. Following a sold-out run at the National Theatre, the critically acclaimed The Lehman Trilogy transfers to the Piccadilly Theatre in May 2019. Simon Russell Beale, Adam Godley and Ben Miles reprise the roles they originally played at the National. Widely praised when it was first staged, this "engrossing play" includes "an acting masterclass from Simon Russell Beale" (The Guardian). Charting Lehman bank's "rise and fall beautifully" (Times), the history of American capitalism takes on the deceptive charm of a folk tale" (Telegraph) under the direction of Sam Mendes (The Ferryman, Skyfall). Nearly two centuries of Lehman lineage is revealed, from 1844 in Bavaria to bankruptcy 163 years later. Roundhouse is transformed into a retro-style Mexican arena for a day of wrestling. The grand spectacle of Mexican Lucha Libre makes American wrestling look as dramatic as a rained-out cricket match. The masked wrestlers - many of whom do not reveal their identities throughout their careers - are the heroes of their respective barrios, celebrated as representing the spirit of the Mexican poor. The high-flying moves require a degree of gymnastic showmanship that is way beyond the steroid pumped pseudo-athletes of WWE. The whole spectacle decamps to London for two days this May, as Roundhouse is transformed into a retro-style Mexican arena. As well as the shows, there will also be authentic Mexican food, tequila and beer. Two-days of dairy fuelled goodness with an accompanying wine fair and live music. Feta fans and cheddar cheerleaders can unite this May at the We Love Cheese festival. Taking place at Battersea Power Station, the two-day dairy-fuelled occasion will welcome cheese sellers from around the globe. A large selection of stalls will sell all different varieties of cheese as well as bread, charcuterie, olives and cheesecake. Producers will be on hand to discuss the goods and there will be pairing suggestions at pop-up bars from beer and wine specialists. Street food will come from the likes of the Raclette Brothers, Mac to the Future and The Toasty Badger, and this year there will also be a wine fair led by resident urban winery and kitchen, Vagabond. Further activities include music and entertainment, live performances, a craft area for the little ones and a Wheel of Cheese offering the chance to win some special prizes. The festival returns with world premieres, UK premieres, features and shorts. The Sci-Fi-London Film Festival lands this May offering right days of film, live music and immersive experiences. It brings with it 4 world premieres, 11 UK premieres, 17 features, 36 shorts and 7 VR shorts as well as classic cult events. The festival will open with the UK premiere of Perfect, which sends audiences into a science fiction world like no other when a young man is sent to a futuristic retreat for therapy. Other films on the line-up include Shed of the Dead, After We Leave, The Tangle and Zoo-Head. The festival will close with the world premiere of The Rizen: Possession, directed by Matt Mitchell and starring Julian Rhind-Tutt, Sarine Sofair, Adrian Edmondson and Sally Phillips. Further to the screenings, the programme also includes the world's only cosplay for dogs. Thornton Wilder's Pulitzer Prize-winning play, Our Town, comes to the Regent's Park Open Air Theatre. 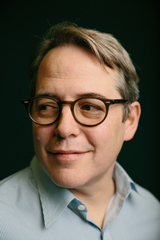 Matthew Broderick makes his West End debut in The Starry Messenger. Hollywood star and multiple Tony Award winner Matthew Broderick makes his West End debut at Wyndham's Theatre opposite Elizabeth McGovern from Downton Abbey. The star of Ferris Bueller appears in a moving drama about a New York astronomer, written by Kenneth Lonergan, the Academy Award-winning writer of Manchester-By-The-Sea. The Starry Messenger introduces us to Mark Williams whose world implodes after a chance collision with a single mother. The stars appear to have aligned but when a catastrophic event turns everything upside down, Mark is forced to re-evaluate his life, his faith and his place in the universe. Katya Jones and nine professional dancers from BBC's Strictly Come Dancing perform. The Welsh mezzo-soprano tours the UK accompanied by The London Concert Orchestra. She has sung for the Pope, for Presidents and at the Queen's Diamond Jubilee, now the Welsh mezzo-soprano tours the UK accompanied by The London Concert Orchestra. Performing classical and contemporary songs, including new tracks from her latest album, Guiding Light, Katherine Jenkins is no stranger to the limelight. She has duetted with Placido Domingo, Andrea Bocelli, Jose Carreras and Dame Kiri Te Kanawa. Last year, she wowed us with her stellar performance as Julie Jordan in Lonny Price's semi-staged production of Carousel at the London Coliseum. This is a chance to see her at the London Palladium for one night only, her sole London date on the tour. The new garden plays on the elements plants need to survive: earth, air, sun and water. Two years in the making, a new Children's Garden at Kew opens to the public on 18th May 2019. Covering 10,000 metres squared, it's the size of 40 tennis courts and includes lots of natural elements. A four metre high canopy walk is wrapped around a 200-year-old oak tree and more than 100 mature trees fill the landscape including ginkgo, pines, sweet chestnut, beech and eucalyptus trees. Designed around the elements that plants need to survive: earth, air, sun and water, the space encourages children to play as they learn. In the earth garden is a giant sand pit with a play hut village surrounded by bamboo plants and tunnel slides. Air is represented by giant windmill flowers, pollen spheres, hammocks, swings and trampolines. A ring of sunflowers, water pumpsand stepping stones complete the life cycle of plants. Aimed at children aged 2 to 12, a giant log scramble challenges older kids to get across to the leaning tower without touching the ground. 50 blooming displays are created on the theme of 'Floriography'. Taking inspiration from and coinciding with the RHS Chelsea Flower Show, Belgravia in Bloom brings floral installations, unique displays and special events to the whole area. For its fourth year 50 blooming displays are created on the theme of 'Floriography' or 'The Language of Flowers', inviting visitors to discover the secret meaning behind each flower. Throughout the festival, there will be special events at Eccleston Yards courtyard where you can take part in creative workshops from floral illustration to herbal tea blending. Halkin Arcade, off Motcomb Street, hosts the Mood Gardens - four small gardens planted to improve mood and relieve stress. Look for beautiful floral installations on Motcomb Street, Pimlico Road and Elizabeth Street where Instagram favourite Peggy Porschen resides and Jo Loves is launching a new fragrance. A reimagining of John Gay's infamous musical satire, The Beggar's Opera. Following a successful run in 2015, Kneehigh theatre return to Lyric Hammersmith in 2019 with Dead Dog in a Suitcase (and other love songs), a reimagining of John Gay's infamous musical satire, The Beggar's Opera. 'Bursting with wit, wonder and weirdness', the show features a cast of actor musicians who shimmy their way through a story about an assassinated Mayor Goodman and contract killer Macheath. Fragrant flowers and flamboyant designs make Chelsea a highpoint of the London summer season. Fusing street dance and ballet, two opposing dance worlds collide. Fusing street dance and ballet, dance show Beats on Pointe comes to the Peacock Theatre this spring. With two opposing dance worlds colliding, the high energy show is a wonderfully dynamic production that sets the dance pieces to music, beat-boxing and a touch of comedy. The show has been created by Australian dance company Masters of Choreography, who have become renowned for pushing conventional dance boundaries. A musical adaptation of the much loved 2001 film. A musical adaptation of the 2001 Oscar-nominated film starring Audrey Tatou and Matthieu Kassovitz, Amelie is the story of a unique young woman who uses small acts of kindness to spread a little happiness. But when a chance at love comes her way, Amelie realises that to find her own contentment she'll have to risk everything and say what's in her heart. 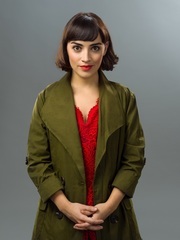 With music by Hem's Daniel Messe who co-wrote the lyrics with Nathan Tysen and book by Craig Lucas, this new musical adaptation starring French-Canadian stage and screen star Audrey Brisson is directed by Michael Fentiman. 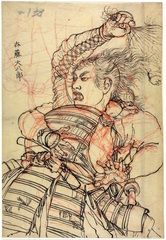 The largest exhibition of manga ever to take place outside of Japan. Unearthing the histories of the 'lost rivers' in - and beneath - the city streets. A rocking ten day summer music festival. After a successful debut in summer 2018, All Points East is back for a rocking ten day summer music festival, taking place over two May and June weekends at Victoria Park. To kick things off, there's a three day music festival with appearances from headliners The Chemical Brothers, Hot Chip and Primal Scream on Friday as well as Christine and the Queens on Sunday. It's followed by a four day community-focused midweek programme of comedy, food and outdoor cinema. Then comes a long weekend of three back to back shows with Bring Me The Horizon, the rock band from Sheffield, headlining on Friday 31st May while American indie folk band Bon Iver bring the festival to a close on Sunday. MasterChef finalists and famous chefs come to leafy west London. The Foodies Festival returns to Syon Park this spring bringing MasterChef finalists and famous chefs to leafy west London on the second Bank Holiday weekend in May. This year's line-up features a range of culinary elite has yet to be announced but last year saw the likes of Matt Tebutt and Michelin-starred chefs Atul Kocchar, Glynn Purnell and Josh Eggleton at the Chefs Theatre. Great British Bake Off winner Sophie Faldo joined finalists Steven Carter-Bailey and Kate Lyon in the Cake & Bake Theatre. With workshops, over 20 street food outlets, the Pimms Teapot and cookery classes for kids as well as garden games and crafting there's a lot to get your teeth stuck into. Honey Dijon, Chez Damier, Midland and more play at the Peckham one-dayer. Kelis headlines the Peckham festival which mixes fresh flavours and local traders with live music. Milkshake singer and RnB superstar Kelis headlines Jam on Rye as the chilled out music festival returns to Peckham Rye Park for a second year. She'll be performing hits like Milkshake, Trick Me and Millionaire in a carnival-like show on the second Bank Holiday in May. Brought to you by street food specialists KERB, the festival mixes fresh flavours and local traders with live music. There are four stages of music on offer, reflecting London's vibrant melting-pot of cultures and showcasing undiscovered local talent. Expect reggae, afrobeat and new wave jazz, served with a side order of top London street food traders, summer cocktails, talks and family activities. The Ukrainian ballet prodigy presents a new mixed programme at the London Palladium. His goose bump inducing 2015 performance to Hozier's Take Me to Church, made with director David LaChapelle, has had over 25 million views on YouTube. In autumn 2018 Sergei Polunin collaborated again with Hozier for the official video of new single, Movement. 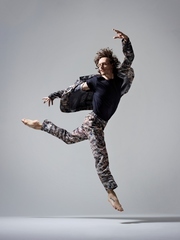 Now, in May 2019, the Ukrainian ballet prodigy presents a new mixed programme at the London Palladium featuring an international cast and creative team, including Polunin himself. The story of a formidable artist whose importance has often been eclipsed by her marriage to Jackson Pollock. One of the pioneers of Abstract Expressionism, Lee Krasner, is the subject of a solo exhibition at the Barbican Art Gallery which tells the story of a formidable artist whose importance has often been eclipsed by her marriage to Jackson Pollock. The first retrospective of her work in Europe for over 50 years, Lee Krasner: Living Colour features nearly 100 works - many on show in the UK for the first time - from across her 50-year career. Early self-portraits, charcoal life drawings and impressive large-scale abstract paintings are accompanied by rare photography and film in an elegant exhibition design by David Chipperfield Architects. Exploring how debilitating disease can shape the way we think about the body. Two artists who have lived with chronic illnesses explore how debilitating disease can shape the way we think about the body, family and identity at the Wellcome Collection. In Misbehaving Bodies photographer Jo Spence documents her diagnosis of breast cancer, her unflinching photographs are displayed alongside Oreet Ashery's award-winning mini-series Revisiting Genesis, 2016, which explores death and dying in the digital era. Exploring the therapeutic potential of photography, Jo Spence's The Picture of Health? 1982-86 shows her journey from diagnosis to treatment over a four-year period. Combining moving image and performance, Oreet Ashery uses augmented reality gravestones and avatars to comment on vulnerability, mourning and loss. Nas, Wizkid and Damian Marley headline this brand-new music festival. A brand-new music event and the first major music festival to take place in Lloyd Park, Croydon, The Ends will see the likes of De La Soul, Kojey, Maleek, Kranium and Grammy Award-winner J Balvin take to the stage in June. Nas will headline on Friday, Wizkid on Saturday and Damian Marley on Sunday. The festival organisers have also worked in partnership with Croydon Music and Arts Council to focus on home grown talent, and The Croydon Council Stage will provide a platform for 14-30-year-old musicians hoping to become the next big thing. From cheap budget places to stay to luxury 5 star suites see our discounts for hotels, including Hilton London Tower Bridge from 63% off.